Tricia Melfy, head coach of the Fort Lewis College volleyball team, talks with her players during a time out during the alumni game last Saturday at FLC. The Skyhawks lost their opening two games of the season in the Westminster Griffins Classic. 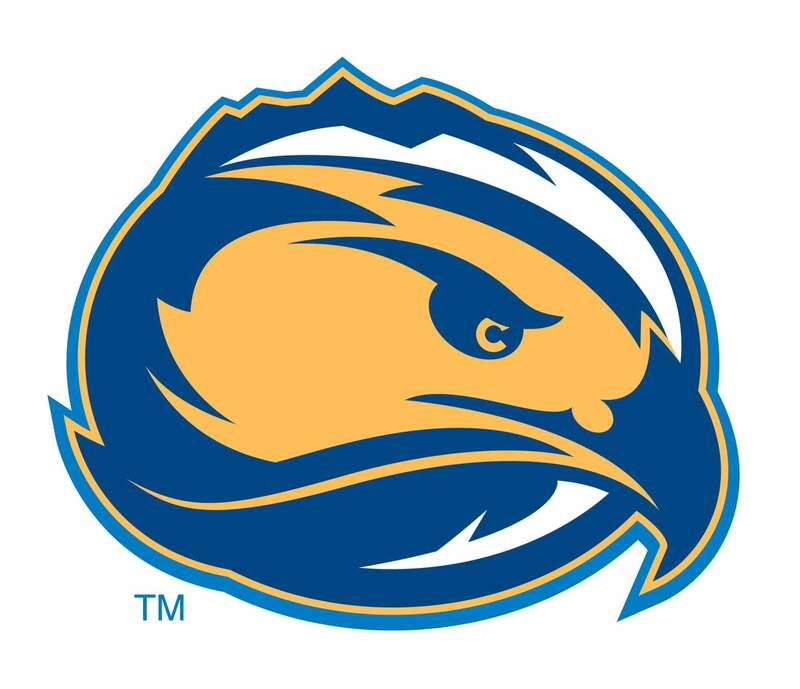 The second era of Fort Lewis women’s soccer under head coach Damian Clarke got off to a rocky start Friday night when the Skyhawks dropped its opening game to Angelo State in Texas, 4-0. The Rams scored less than 10 minutes into the match, as Kylie Hampton scored her first career goal for the Rams. It was not the start Clarke expected, as the Skyhawks had not conceded a goal throughout preseason. He was correct on one account – the Skyhawks were unable to find the back of the net. Fort Lewis managed just seven shots in the game, including two in the first half. FLC finished with five shots on goal but never found paydirt. The offense was not completely bare, as Fort Lewis managed four corner kicks in the match. Angelo State goalkeeper Kira Miller collected five saves. Angelo State poured on the pressure and found the back of the net once again in the 22nd minute, as Cassandra Moosburger scored her first goal of the season. Fort Lewis went into the locker room down 2-0. The second half was a similar story, despite the Skyhawks’ improvement offensively with five shots in the half. However, Angelo State’s Mackenzie Broderick scored in the 61st minute to put it away and make it 3-0. Meanwhile, Moosburger added salt to the wounds of the Skyhawks and scored her second goal of the game in the 76th minute to make it 4-0. Fort Lewis will stay in San Angelo to play at 10 a.m. Sunday against Midwestern State. 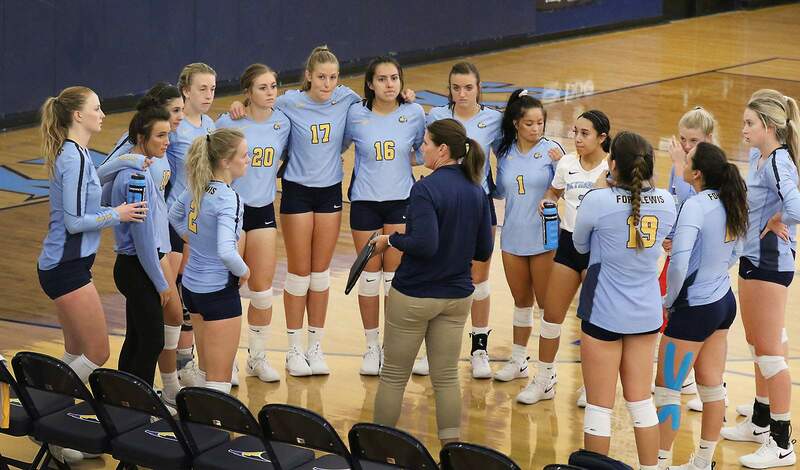 VolleyballThe Fort Lewis volleyball team also lost both matches under first-year head coach Tricia Melfy at Friday’s Westminster Griffins Classic, as the Skyhawks lost to Westminster and Truman State. The Skyhawks (0-2) lost the first of two games in a five-set thriller, falling 25-20, 13-25, 29-27, 25-18 and 15-11. Westminster outside hitter Audrey Green led both sides with 25 kills, while Aggie Roese-Olsem dished out 36 assists and Hannah Stearman had 27 digs. For the Skyhawks, Ohiyah Shirley, a transfer from Northern Arizona, led the way with 18 kills and Bella Valdez had 34 assists. In the second match of the night, Truman State defeated Fort Lewis, 25-21, 21-25, 25-18 and 25-21. The Skyhawks will play at 9:30 a.m. Saturday against Lubbock Christian. They will end the invitational with a test against Minnesota State-Mankato at 2:30 p.m.